There are always funny signs etc to read when travelling. Here are a few of them. 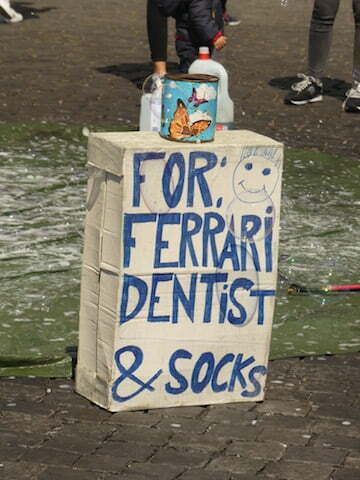 This is the bubble-blowing-busker’s sign! Love it. 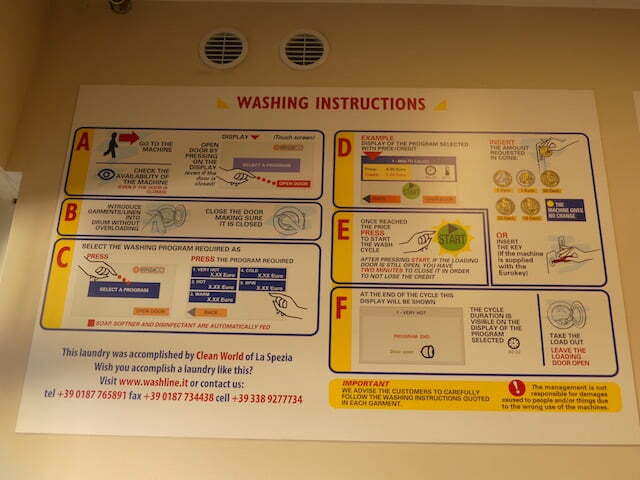 These are the instructions at the laundromat in Vernazza. I always introduce my clothes to the washing machine before washing…don’t you? 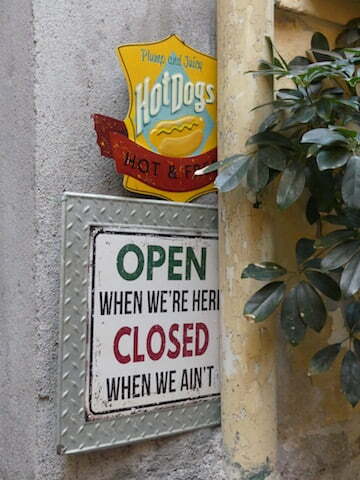 And also in Vernazza at this hot dog joint…some very American vernacular. And a bit of local graffiti in the pedestrian tunnel at Manarola. No idea what this means. Can only imagine. Almost got the spelling correct. 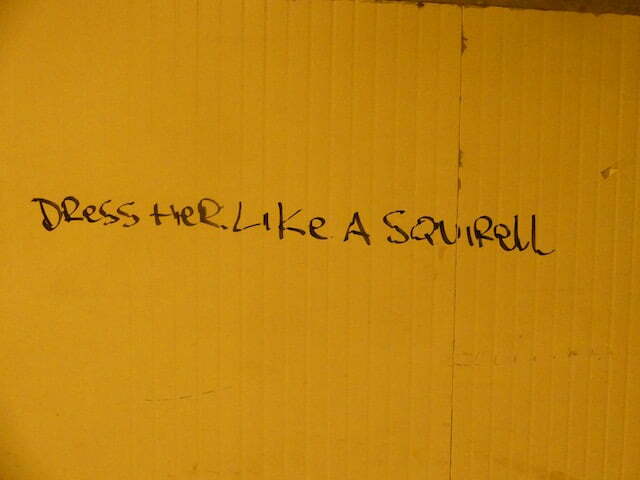 Maybe a squirell is an entirely different beast.